Merlin’s Hatch day- Our Feathered Friend is Turning A Year Older! Merlin, our Rainbow Macaw, celebrates his 15th Birthday Party will have crafts and cupcakes in the morning and afternoon, with a special gift opening and his bath time from 2 pm to 3 pm! 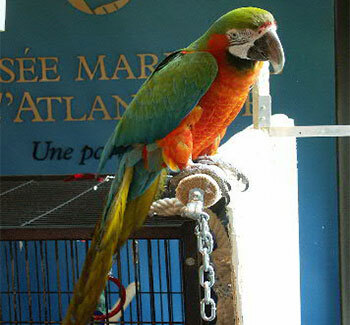 Merlin joined our museum family in 2006 and quickly became one of our most popular members. If you can’t make it on Saturday, May 21, we will have the annual Merlin scavenger hunt which will happen all weekend for you and your family to roam and explore the museum! Unable to help Merlin celebrate in person? Don’t Worry, Merlin is always on display thanks to our friends at Nova Scotia Webcams.